Before we start talking about the terms like SmartDNS, DNS, and VPN, it is important that you have an idea about them. So just have a bird’s eye view of what these terms are all about and what is their functionality. Get Unlocator – the Best Smart DNS on the market! Virtual Private Network also known as VPN is used to add security to your Wi-Fi and public networks. However, the primary purpose of VPN is to access geo-blocked content. For example, if you are living in a country where torrents are blocked, you can use VPN to access torrents. VPN allows you to change your online location by changing your IP address. VPN is safe to use, and you can easily access blocked content with it. Smart DNS is just like VPN. Smart DNS is used by many companies. Smart DNS is commonly used to direct the users to a proxy network. But the primary and foremost use of Smart DNS is to unblock sites which are blocked by ISP’s. What does a SmartDNS do? Unlike VPN, SmartDNS does not change your IP address. It changes the DNS of your device and thus allows you to access blocked sites. Also known as Domain Name System. DNS is used by the Web to name the websites according to their IP’s. A list of domain names and their respected IP’s is compiled and distributed over the internet. How can I bypass location restrictions using VPN and Smart DNS? Both VPN and Smart DNS serve the same purpose – bypass location restrictions. If you are living in Australia and want to access blocked content like Torrent sites, BBC IPlayer, and US Netflix, then you need to use one of these two options – VPN or Smart DNS. So if you are confused between VPN and Smart DNS, I hope that the comparison detailed below will help you in making the right decision. Very easy to set up. Just download and install the app and log in to your account. All of your traffic is masked and encrypted. If you use a cheap and lower quality VPN, your internet speed will decrease. VPN is compatible with every streaming device. If you want to use it on PC or MAC, you can download its software or VPN client. And if you want to use it on your smartphone or iPhone/iPad, you can download its app. If you are living in Australia, you can access all the site of US like Netflix, Hulu Plus, Amazon Instant Video, etc. using a VPN. For every high-quality VPN, there are more than 300 servers globally. And that’s why you can unblock content of almost every region with VPN. VPN will not work with your Smart TV unless you have a configured router for VPN. VPN is the safest way to protect you from hackers and cyber crimes. Almost every VPN service comes with 7-30 days free trial facility. So you can check the services of a specific VPN before using it for a longer time. 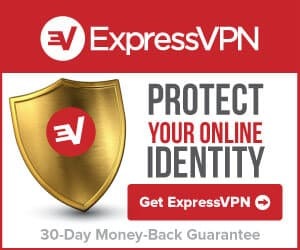 For Australian viewers, the best services are ExpressVPN (Read Review), NordVPN (Read Review), and IPVanish (Read Review). Do not use, free and cheap VPN services for bypassing location restriction as you may harm your device with a virus. Just like VPN, is compatible with all streaming devices. It is straightforward to use. All you need to do is change the DNS of your devices router. Setting up is pretty easy. Just make an account on it, authorize your IP and change it. The main advantage of using SmartDNS is that it won’t affect your internet speed. You cannot unblock all sites. 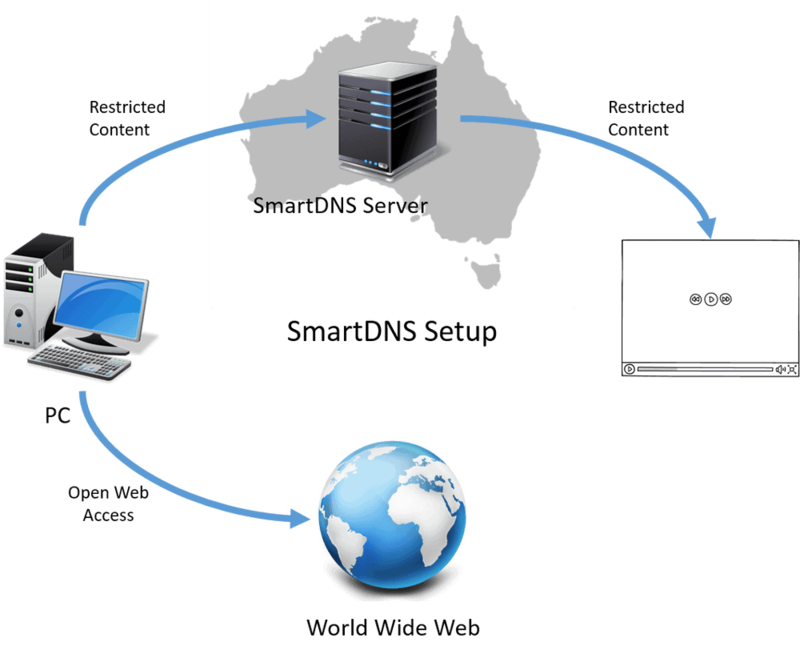 SmartDNS services like Overplay or Unlocator (best SmartDNS Australia) can unblock sites like Hulu Plus and Netflix. Other than accessing foreign sites, you will still be able to access your local sites. You can quickly change your region without doing any major changes to your configuration device. If your ISP is using techniques like DNS Hijacking or Transparent Proxies, you will not be able to bypass location restrictions. SmartDNS is compatible with iPhone, iPad, Smart TV, Apple TV, WD TV, MAC, PC’s, Tablets, Xbox one 360, Amazon Fire TV and Chromeset. Unlike a VPN, it does not provide encryption for your traffic, and you don’t need to change your IP address of the device in use. You need to change the DNS of your device. Because SmartDNS does not encrypt the traffic, therefore the connection between your device and the website becomes much faster. If privacy and security are your main concerns, you should not use SmartDNS. For privacy and security, you should use a VPN. There are a lot of factors in which Smart DNS lacks, and also there are many in which VPN requires. So the selection depends on your usage. If you only want to access blocked sites in a speedy way along with your local sites, you should go for SmartDNS. However, if you want to access blocked content with privacy and security, then you should go for a VPN service. Your internet speed should be high enough to cope with the internet speed loss during traffic encryption. Both VPN and SmartDNS are used for bypass location restrictions, and the selection one of them is difficult as they provide different and unique features. It is recommended not to use free web proxies to bypass location restrictions as you may get DMCA notice from your ISP. They are the two best way to bypass location restrictions if you are living in Australia. If you want to surf the blocked websites safely, then you should choose a VPN (Here’s how to set up a VPN). And if you don’t care much about your privacy, and want speedy connection, then you should choose a Smart DNS.